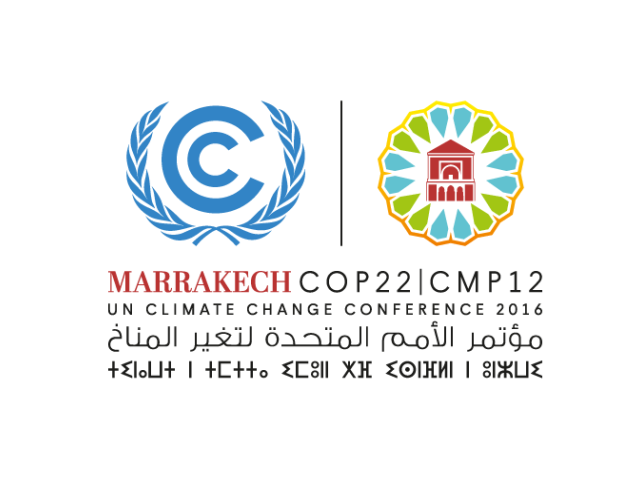 During September, AUI and BSQ agreed to jointly present the REPHLECT initiative in the coming COP22 International Conference on Climate Change that was to be held in Marrakech from Nov. 7th to 18th. COP stands for the “Conference of the Parties.” It is the supreme decision-making body of the United Nations Framework Convention on Climate Change (UNFCCC), opened by signature in 1992 during the Earth Summit in Rio de Janeiro and later entered into force in 1994. Since then, there have been twenty-one COPs, with the most recent having been organized in Paris this past December. Through this instrument, the United Nations has equipped itself with an action framework to fight global warming. During the COP, member States strive to reach agreements on reducing greenhouse gas emissions caused by human activity, assess the evolution of their commitments and review the implementation of the Framework Convention and other legal instruments that the COP adopts. Typically a series of negotiations are carried out beforehand in order to optimize the agenda and discussions. The previous COP conference resulted in the Paris Agreement aiming to limit the rise in global temperature “well below 2°C” compared to pre-industrial levels (1880-1899). To do so, the States have set the target of reducing CO2 emissions by 50% by 2050 and 100% by 2100. By the release date of this Newsletter, BSQ’s assistance to COP23 was already over. The REPHLECT project and BSQ’s HCPV technology was presented in the booth of the Conference des Présidents d’Université (CUP) in the Conference’s so-called Green Zone. The REPHLECT concept of distributed manufacturing of PV and ultimately its new paradigm for a global PV industry resulted very appealing to those that visited the booth. We discussed possible partnerships and implementation plans with Government Delegates to the conference from the USA, Spain, France, Switzerland, Belgium, Philippines, Thailand, Burkina Faso, Mali, Guinea, Sudan, Nigeria, and Congo. Different media interviewed BSQ delegates and the icing on the cake happened when we received the visit of Her Royal Highness Princess Lalla Hasna. Most visitors were from Morocco and the Conference also served the purpose of establishing first contacts and collaboration conversations with local stakeholders in solar energy such as MASEN (Moroccan Agency for Solar Energy) , IRESEN, and the country’s electric utility ONEE (Office National de l’Electricité et de l’Eau Potable). All In all, an excellent event was announced the last day and will continue in 2017 with the COP23 to be organized in Bonn with the presidency of the Fiji Islands, one of the world’s countries most seriously threatened by global warming and rising sea levels.